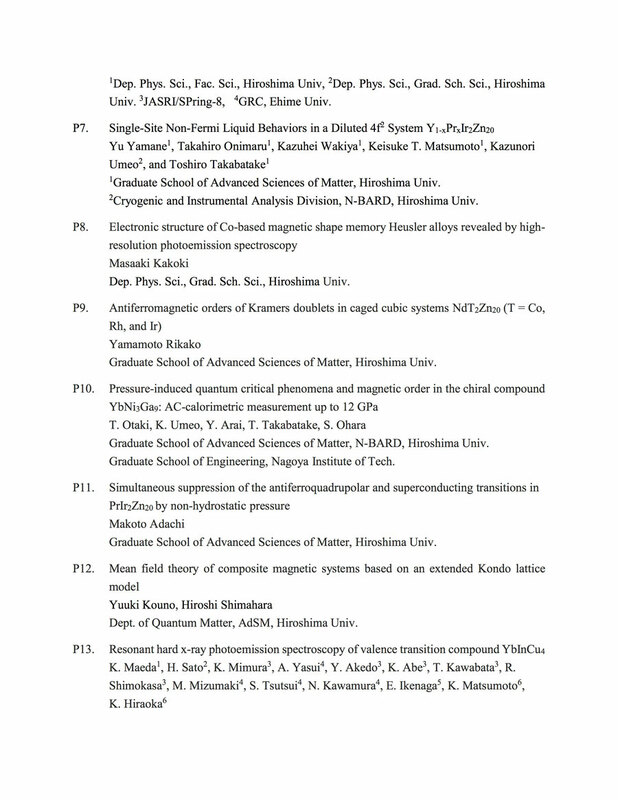 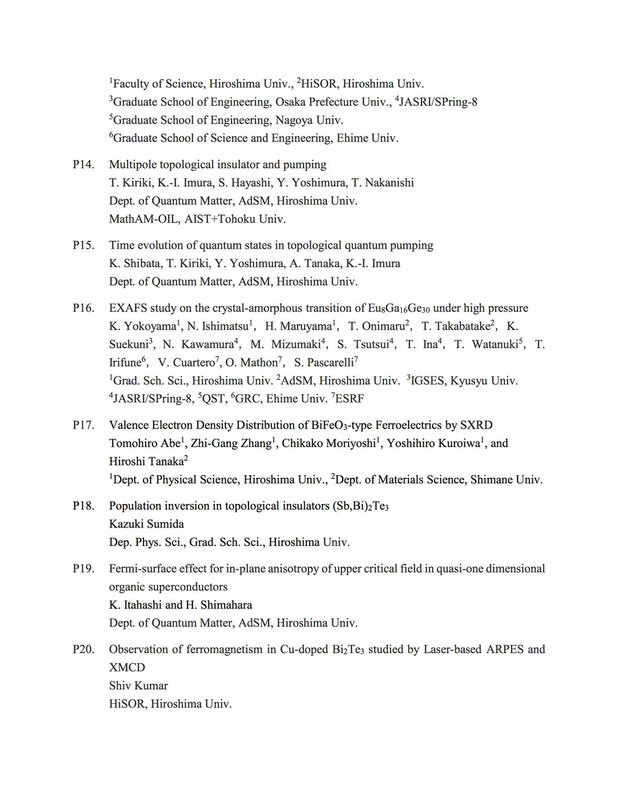 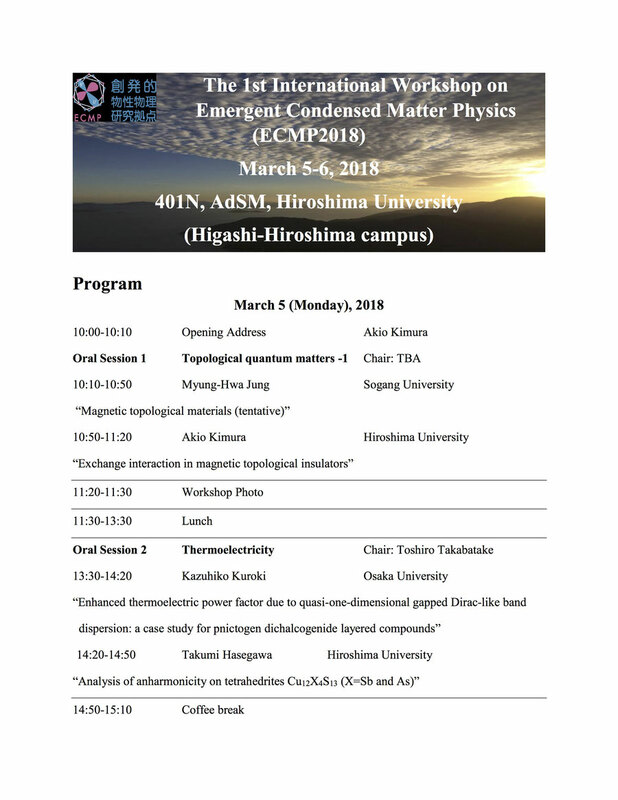 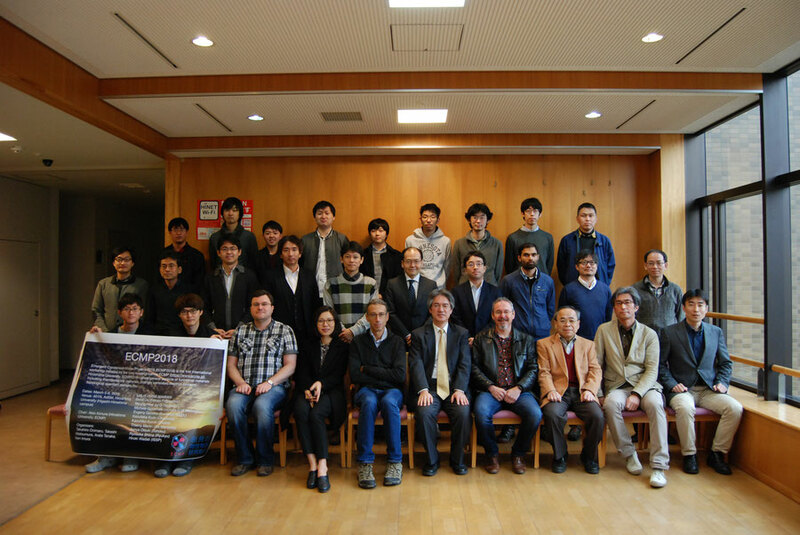 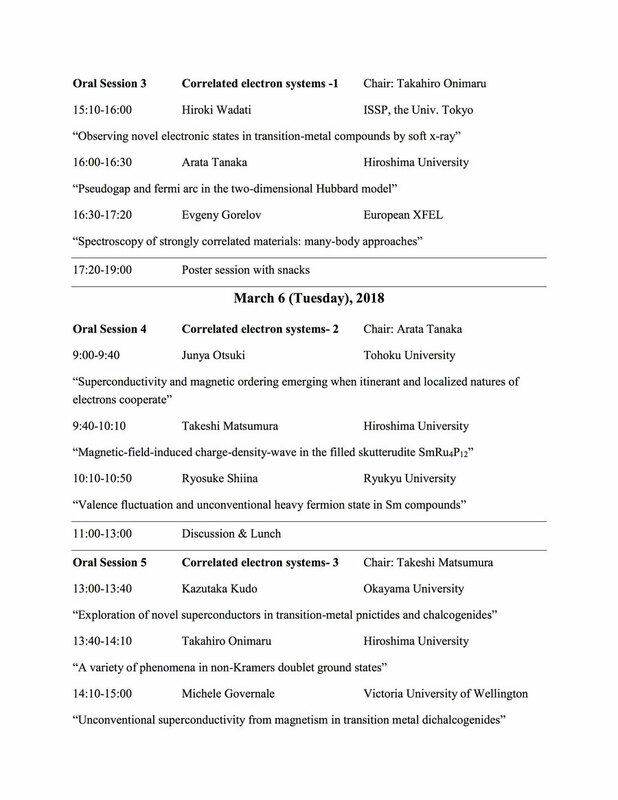 Emergent Condensed-Matter Physics 2018 (ECMP2018) is the first international workshop initiated by the core research center ECMP (https://www.ecmp.jp), Hiroshima University. 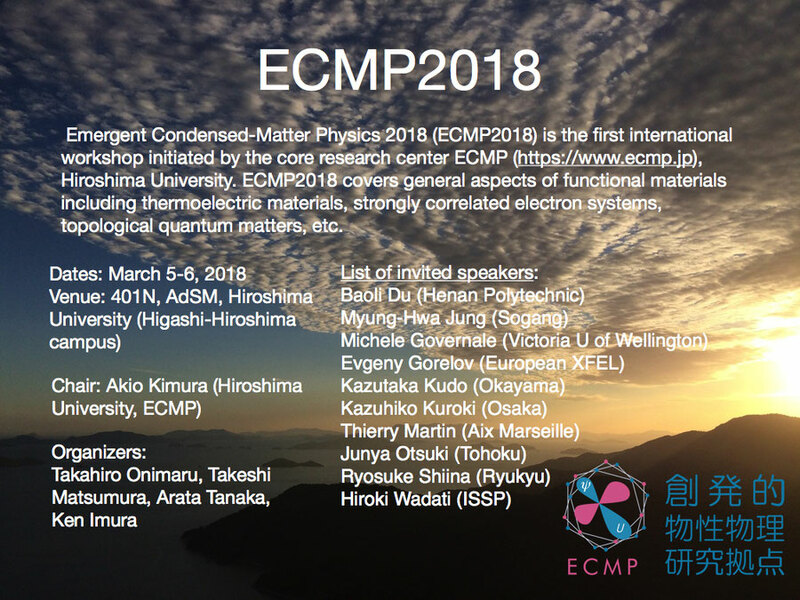 ECMP2018 covers general aspects of functional materials including thermoelectric materials, strongly correlated electron systems, topological quantum matters, etc. 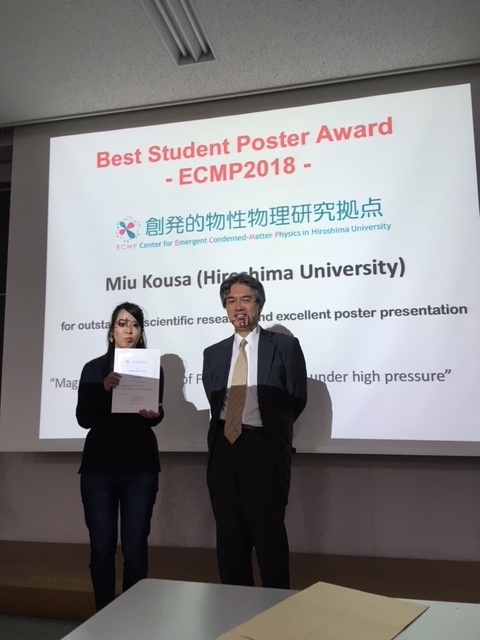 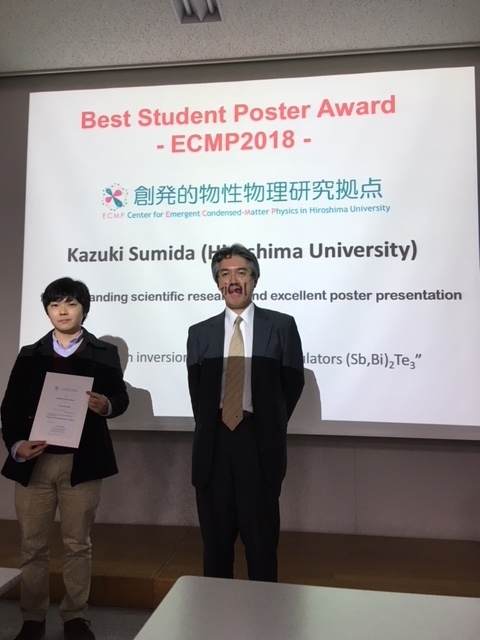 ECMP2018 Best Student Poster Award has been given to Ms. Miu Sousa, Mr. Makoto Adachi and Mr. Kazuki Sumida! 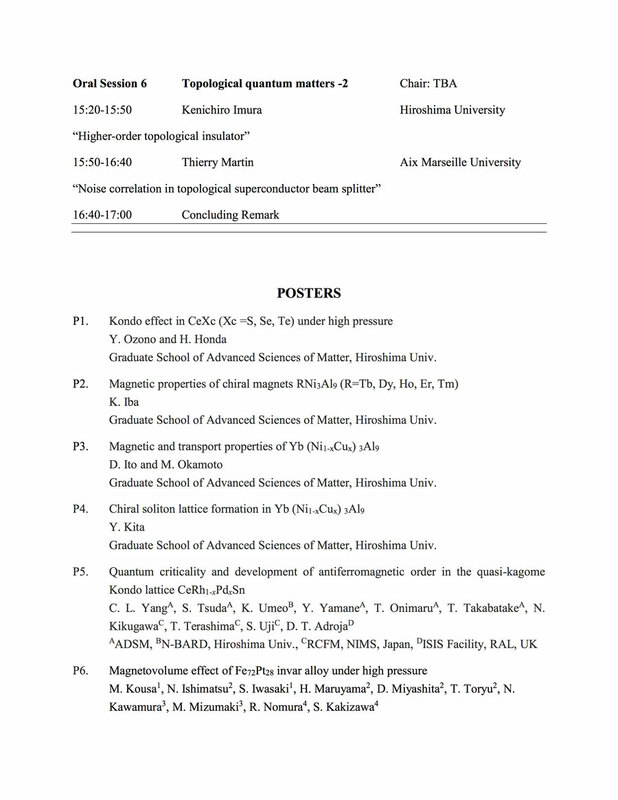 Call for posters! 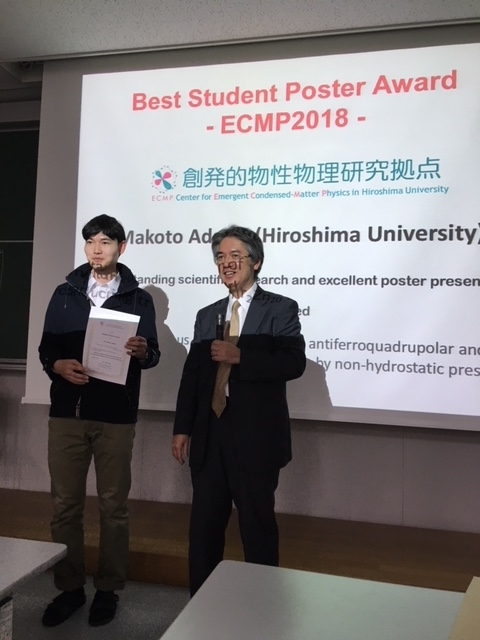 There will be a poster session in the ECMP2018 workshop (scheduled on day 1, March 5, late afternoon).